Spatially enable applications and integrate business data with GIS data. Spectrum Spatial Location Intelligence Module is a GIS Server that enables organisations to deliver interactive mapping and spatial analysis and operational location intelligence to audiences within and beyond the organisation. Combine business and geospatial information to gain a true view of your business and customers, while solving the most complex business problems.Verify locations and transform location insights into valuable business intelligence to reduce risk, increase customer satisfaction and streamline operations. Rapidly create interactive mapping and spatial analysis web sites using rich internet application (RIA) user interface components and web services (SOAP, REST, OGC). Deliver powerful applications with support for mapping for visualisation and analysis, comprehensive spatial query and geometry calculations. Create applications for public internet, partner and corporate intranet web sites. Use the extensive range of analytical mapping visualisations in Spectrum to successfully communicate a clear, common operational picture. Integrate mapping and spatial analysis into business systems such as Business Intelligence (BI), Enterprise Intelligence (EI), Customer Relationship Management (CRM), Enterprise Resource Planning (ERP) and supervisory control and data acquisition (SCADA) to improve decision making. Use operational location intelligence to deliver efficiency improvements and apply spatial intelligence directly within human-free, straight-through processes and automated business decision making. 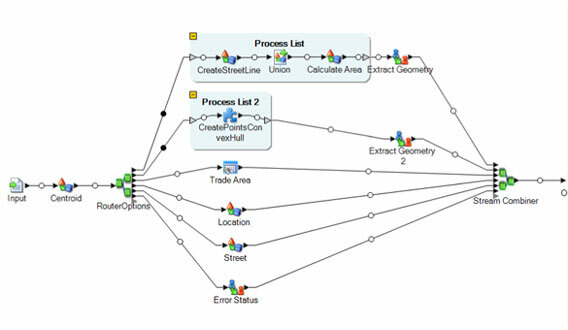 Operational Location Intelligence enables spatial business rules and logic to be embedded within operational systems and frees the organisation from costly overheads of manual spatial analysis processes in workflows. By reducing manual analysis workloads to exception handling only, business rules are applied more consistently and faster decisions can be made in support of real-time responses. The Location Intelligence module provides support for visual point-click design of data flows for operational location intelligence decreasing the time-to-value and increasing the flexibility to rapidly adapt the logic and rules to changes in business. Bring business data and GIS data together using built in spatially enabled visual data integration enabling organisations to rapidly expose the value of hidden location with their data assets. Integrate data in GIS formats and spatial databases with business data in XML, files, web services and RDBMS removing domain data silos and simplifying the spatially enabled IT organisation. Transform business data from multiple systems to build spatial databases. 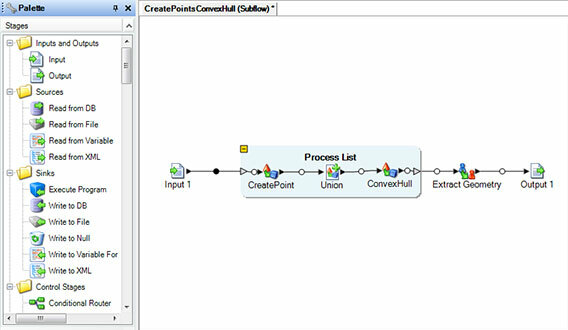 Create data flows for batch and web service based transactional data integration. Share maps and data through certified Open Geospatial Consortium (OGC) Services for web mapping (WMS), feature (WFS) and cataloguing (CSW). Reuse the same data and maps via SOAP and REST interfaces to support integration with other IT systems and middleware enabling both IT and GIS trained resources to access spatial capability. The Location Intelligence Module is part of the Spectrum platform. As such it can be used with any of the modules in the platform and shares a common management and flow design environment simplifying administration. The Location Intelligence module is part of the Spectrum Platform Spatial Solution encompassing the Location Intelligence Module, Enterprise Routing Module and Enterprise Geocoding Module. In addition to spatial capability a broad range of business data quality and management capability is available.